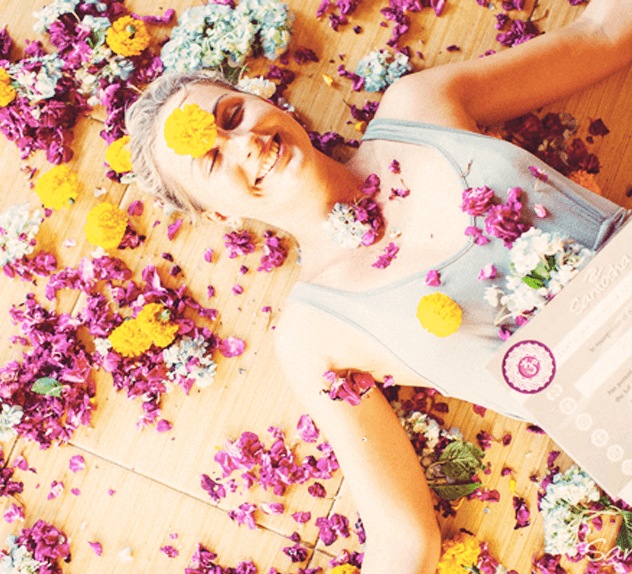 What if you had a chance to deeply expand your yoga knowledge? 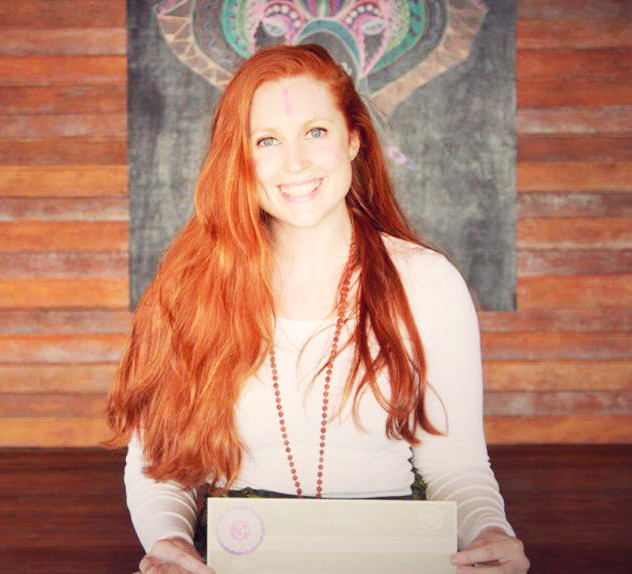 Santosha’s Level 2 Yoga Teacher Training Certification is a 28-day intensive program for those who want to deepen their experience and knowledge of yoga – for themselves and their students. Santosha Yoga’s Level 2 300 course is designed to help you achieve praadhiita (‘advancement in studies’). When added to your existing 200 hours this training qualifies you for RYT-500 with Yoga Alliance. This course is a wonderful opportunity to develop not only as a yoga teacher, but also teaches you how to embody yogic principles in your everyday life. 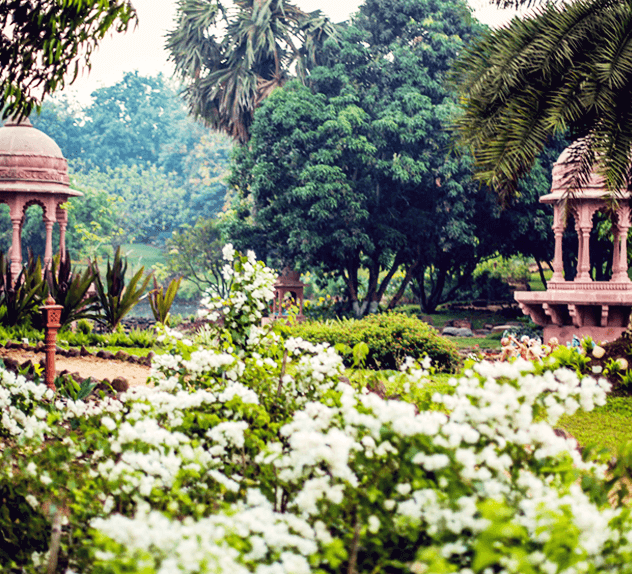 Living in an authentic Indian Ayurvedic Village allows you to experience first-hand the effects of living your values as a Yogi. The Level 2 Yoga Teacher Training course initiates your further growth from the foundations that you discovered in our Level 1 course (or in a 200 hour training elsewhere) – delving deeper into the essence and teachings of yoga. Progress in yoga goes far beyond the physical, and you will awaken deeper levels of insight and transformation by developing further your journey on the yogic path. The Journey of a Yogi is a path that allows us to be perpetual students of yoga and our own mind, body and soul – whether teaching or not. Many people come to yoga as a physical exercise and only later begin to understand the profound spiritual effect it has on our lives. To establish these spiritual effects firmly, to embed them within our consciousness – they must be grounded on the bedrock of Yogic Philosophy and lifestyle. If we are following the Eight Limb path then we will live in accordance to the first two limbs – Yama and Niyama – the ethical precepts set forth in Patanjali’s Yoga Sutras. A teacher, or one who is on a deeper path, must engage in ongoing study – Brahmacharya – as well as cultivate growth in their daily practice. 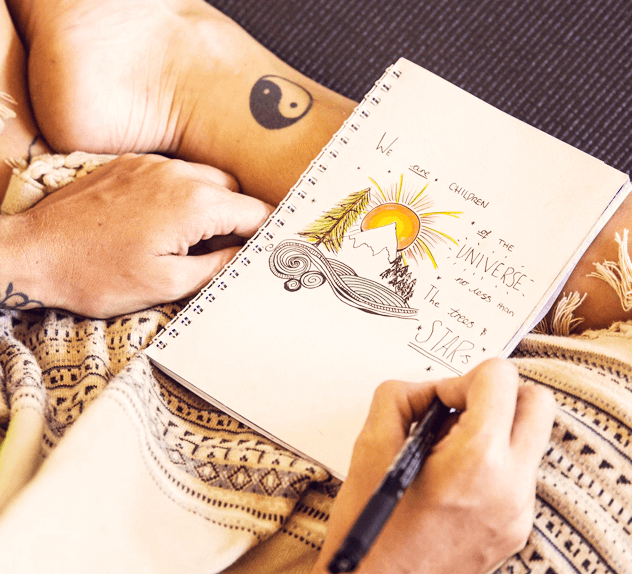 Our Level 2 training allows you time to focus and experience new concepts and practices away from the distractions of daily life, deepening your own practice and understanding – the well from which you draw to share with your students. The deeper we understand who we are, the more our light will shine for others. Santosha’s Level 2 Yoga Teacher Training Certification is offered as a 28-day intensive program and is for those who are ready to take their foundational knowledge to the next level. This course provides 300 hours of training which, when added to your existing level 1 200 hour teacher training, will qualify you for RYT500 with Yoga Alliance. Santosha Yoga’s Level 2 YTT 300 course is designed to help you achieve praadhiita (‘advancement in studies’). The course offers a comprehensive, intensive and practical training in how to teach yoga on a level that extends beyond the 200 hour course so you may come to a deeper knowledge of yoga. The journey of a yogi is a path that allows us to be perpetual students, whether teaching or not. If we are truly following the eight Limb path then we must adhere to the fist two limbs, being Yama and Niyama – the ethical precepts set forth in Patanjali’s Yoga Sutras. Yama and Niyama are the foundation of our practice without which no spiritual progress along the path of yoga can be made. Many people come to yoga initially as a physical exercise and only later begin to understand the profound spiritual effect it has on our lives. But to establish these spiritual effects firmly upon our mindstream, to embed them within our consciousness, they must be grounded on the bedrock of ethical behavior. Our practice begins with Yama and Niyama, and extends into asana and the other limbs of yoga. Therefore a teacher or one who is on a deeper path must engage in ongoing study – Brahmacharya as set forth in Patanjalis yoga Sutras – as well as cultivate growth in his or her daily practice. Yoga retreats and workshops, away from your daily routines, are also beneficial because you have time to focus, and experience new concepts or practices away form the distractions of daily life. The deeper we understand who we are, the more our light will shine for others. All of Santosha’s teachers take time to study, to be inspired, and to grow. Studying allows an individual to stay connected to the teachings, and continue to be open and to maintain a beginners mind. Even if you do not teach, allowing time to look within, in a focused way, is the key to growth. With this in mind, Santosha will offer a variety of courses including the Level 2 YTT 300 Hour course to allow those spiritual seekers to travel within in a dedicated and supportive setting. The Santosha RYT-300 hour training has practical value – including the ability to register as a Yoga Alliance RYT-500 teacher – but the real purpose is to bring students deeper in their understanding of Yoga through direct personal experience and practical knowledge. The Level 2 RYT-300 allows you to experience the true essence of Yoga through the application of ageless wisdom, ancient practices and philosophy – applied in a contemporary context. Your 300 Hours – when combined when your 200 Hour Qualification – will allow you to Register with Yoga Alliance at the 500 Hour Level. You will gain the opportunity to both learn and teach these modalities, meaning you will leave ready to teach and share your new skills. 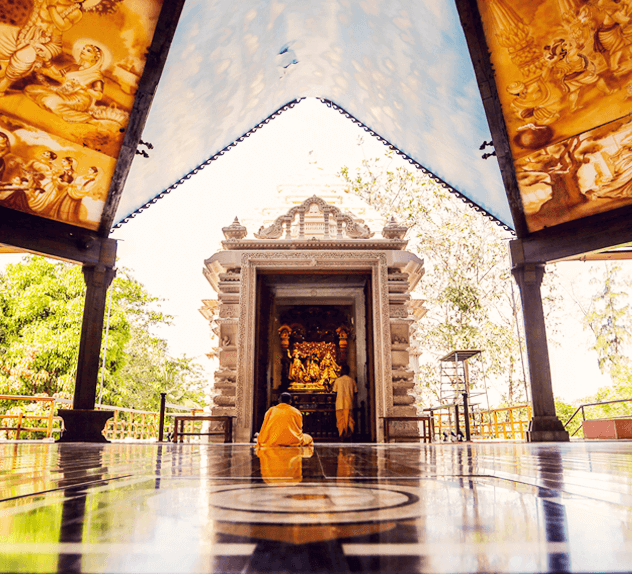 We know visiting such an exciting place can be a little daunting on your own – which is why we have teamed up with Govardan Eco-village to facilitate our Santosha ‘Back to the Source’ Yoga Teacher Training. This experience in both YTT's has been far more that I would have ever expected. I've learnt so much more about myself, friendships, my spirituality. The teacher’s smiles and warmth and attitude makes me feel so grounded. It monkey ever takes over I will forever hear the voice in my head saying " Its all good"! Thank you so much for the great journey that you enabled us to take. I learned a lot not only about yoga, but about myself. I was pleased to meet so many different yogis with different yoga paths at this training, so I could learn from their experience as well. From the bottom of my spirit and soul THANKYOU for bringing me on this Indian adventure. I have learnt more this month about life and myself than any other time before including the YTT 200! I am so grateful for the new friends I have made and to be part of another YTT with you and all the teachers. You such an inspiring guiding light who I’m so thankful to have in my life. Santosha is such an amazing family. 🙂 This training was truly incredible! Is the Level 2 course for me? 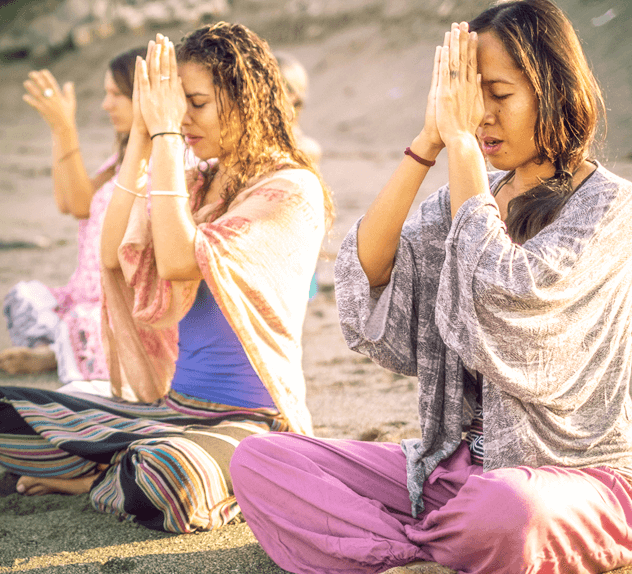 All that we require is that students truly desire to continue their Yoga journey, deepen their own knowledge and practice, connect to their true inner selves and – if they feel called to – to share this knowledge with others. Upon completing this course, you will be equipped to practice safely and teach others in a range of diverse settings. When added to your existing level 1 200 hour teacher training – this course will qualify you to register as a RYT-500 with Yoga Alliance. Upon completing this course, you will be equipped to practice safely and teach others in a range of diverse settings. When added to your existing level 1 200 hour teacher training, this course will qualify you to register as a RYT-500 with Yoga Alliance. All Santosha graduates are offered support on their teaching journey. What makes Santosha’s Level 2 Training Special? Yoga is not just a series of postures; it is a deeply transformative tool that brings about real change and growth in your life. That’s why we are so excited to holding our training in an authentic Ayurvedic environment – enabling you to get the most of this deeply life changing experience and to find the support you need to leave the training not only with new teaching skills and certifications – but with a new way of looking at the world. Gain more than just a 500 Hour Certification – earn additional specialised hours and certification in Pre + Post Natal and Children’s and Teens Yoga, Yin Yoga and Yoga Nidra – as well as benefiting from our onsite Ayurvedic experts with classes in Ayurveda and Yoga Living. Return with extra skills and knowledge to enhance your own life and share with your students. 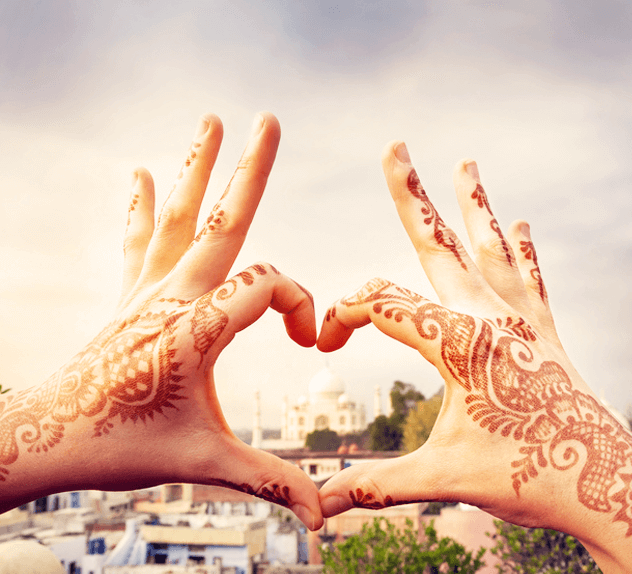 Spend 28 Days immersed in the hills of India – the birthplace of yoga – soaking up the healing nature for body and mind, and dining on loving prepared Ayurvedic meals for the belly. You will leave not only with the knowledge you take away from the training, but an experience of intuitive yogic way of living based on ancient principles of well being that will last you a lifetime. Spending time with others on the same path creates the opportunity to make deep and life-long connections. You’ll be surprised at how quickly a room of strangers become like family. Feel embraced, accepted and supported by teachers and peers as you go deeper into your own personal journey, moving together into joy. We have gathered an incredible team of passionate and experienced yogis and teachers to share their wisdom with you. 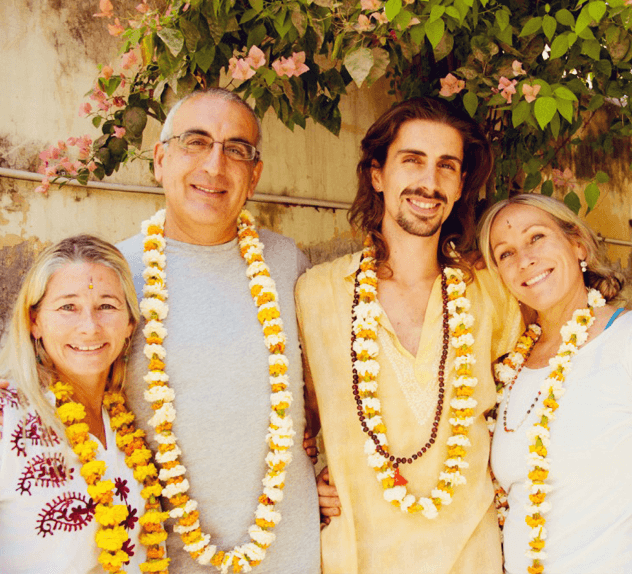 Learn Ayurvedic living direct from the source, as well as Asana, Philosophy, Pranayama, Mediation and more from experts in the field. We want to spread the joy of yoga, so are committed to keeping our 300 Hour course the most affordable on the market, while still providing a top quality training. We don’t believe in inflating our prices at the cost of losing passionate teachers who are ready to make a difference in the world, so we keep our costs low. Save $200 AUD of the course costs if paid in full by February 1st, 2019. Attend our Level 2 300-Hour course, and in the extremely unlikely event that by lunchtime on the second day, you feel that you do not want to complete the course OR you do not want to become a Yoga Teacher, we will refund your money minus the non-refundable BUT transferable deposit fee.